When someone mentions Spring, do you think of flowers the way I do? 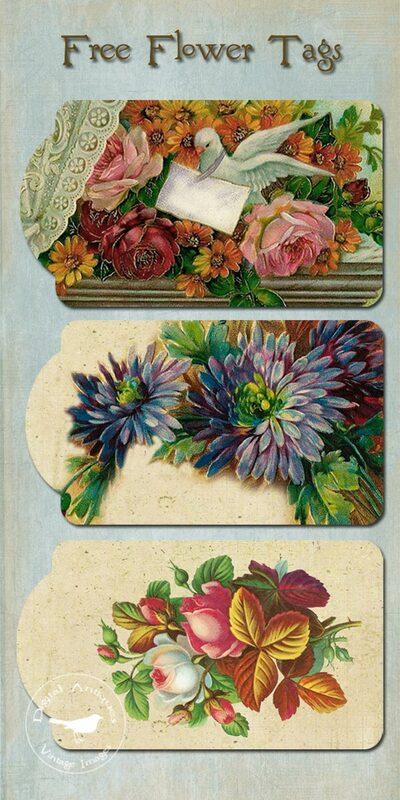 Here are some new free tags for you, featuring lots of Spring blossoms. You can download a printable, high resolution copy, by clicking on the "Click Here for Free Printables" tab on the right. When the page opens at box.net, click on "spring_2012.pdf" and then on the download button at the top of the page. I hope you'll print out these tags and enjoy using them. If you make something wonderful and would like to share, I'd love to see what you've done. Just leave a link in the comments section, or email me. Digital Antiques. Drop by and take a look, when you have time. Happy Spring, from the Dog and me. Your free tags are just so pretty.. thank you so much.